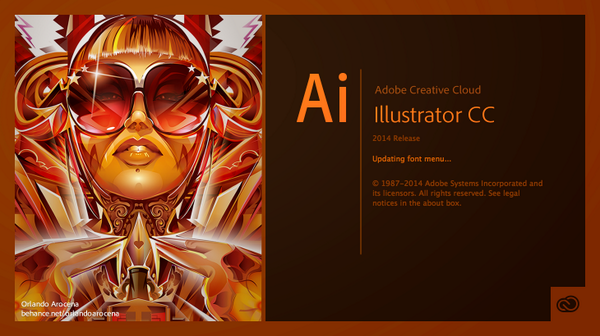 Adobe Illustrator was first introduced to big, bulky screens back in 1986 as graphic design software. It can now be found on thousands of computers around the world, for beginners learning the ropes or for big businesses and corporations. Adobe Illustrator can be used for various projects. Whether it’s building a web page or creating a logo, Illustrator’s many features make it accessible to people of all experience with Adobe – so whether you’re an experienced Photoshopper, or have never used Adobe before in your life, this program does not discriminate. So, why should I use Illustrator, and do I need to be good at art to do so? Firstly, it’s great for personalised graphics for your business, whether that be logos, brochures, websites, business cards or what have you. The professional finish that you get with Illustrator can really make your image-based output stand out from the rest when using it to promote and market your business. Secondly, you certainly don’t have to go on a book spree and start learning the history of aboriginal art or the abstract expressionism movement to start getting great results from Illustrator. Nor do you have to take up a class in drawing (you can if you want, but it’s really not necessary). In fact, what Illustrator is brilliant at is perfecting your imperfections. For instance, try drawing a perfect circle free hand. Not so easy, right? In fact, it’s pretty much impossible. But when you draw a circle with Illustrator’s built-in shape drawing tool, it will come out perfect every time – as will your squares, stars, triangles, or any other shape that you can think of. It’s important to know that Illustrator draws lines and shapes using mathematical equations known as vectors. This format induces clean, crisp lines (or paths, as more commonly known), and can be printed as big as you like without the pixilation or jagged lines of raster/pixel based images Lie you get when using Photoshop. Furthermore, don’t let the word ‘Illustrator’ put you off. In fact, drawing – or illustrating – free hand is not necessary (so no, you really don’t have to be good at art to use Adobe Illustrator), as there are many simple tools that can be utilised in this vastly expansive program, some of which this article will reveal. Start by getting to know the working area. On the left hand side of your screen, notice the tools panel running vertically down the workspace. The Shape Tool is located just below the T symbol. Select this, choose your shape (see screenshot below), long click on the page (artboard), and drag the cursor across the screen. You have made your first shape. To constrain the proportions of the shape, hold down the alt button on the keyboard. This tutorial of a Happy sunshine is easy to follow and demonstrates the simplicity of using shapes to create an image worthy for logos or infographics. It involves no drawing whatsoever, just the basic principles of shapes and the gradient tool for added depth. Open up a photo in Illustrator. On the right hand side of the workspace, notice the panel running down the side, here you can locate the Layers Tab near the bottom. Create a new layer by clicking on the page symbol, and then name this layer ‘Sketch’. Making sure Layer 1 is selected and highlighted, click on the Transparency Tab (two circles symbol) and lower the opacity to around 60, then navigate back to the Layers Tab and click on Sketch. On the Tools Panel (left hand side), select the Pencil Tool and start to trace the image – you can see your progress by turning the eye symbol on and off on Layer 1. 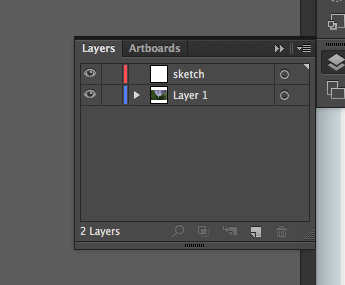 Once you’re done, discard Layer 1 by dragging it to the Trash Can symbol and take a look at your new illustration. The Pen Tool takes time and dedication to even be able to produce a simple circle, but stick with it and it can be a nifty little tool to have. 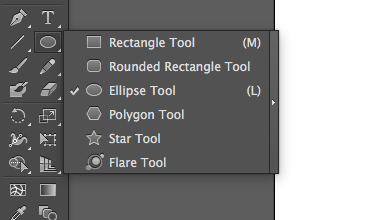 First, click on the Pen Tool on the Tools Panel. Click anywhere on the page, then choose a second spot and click again. You will see that a line has been formed from the first point to the second. But what if you want to bend the line? Simple. 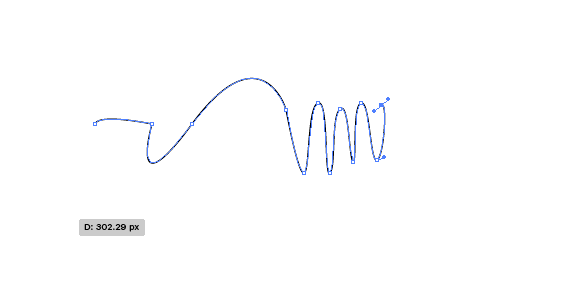 Click on a point anywhere along the line, and then, without letting go of the cursor, drag the Pen away from the line. Notice the handles that appear when dragging. The further you drag the Pen, the deeper the curve you will create. In the image above, I have used short drags to create compact curved lines. A good way of practicing is by uploading an image to Illustrator and drawing around it. I won’t lie – it’s tricky at first, but keep practicing and soon you’ll get the hang of it. Want to learn more? Courses are available for Illustrator and more. Book yours today!